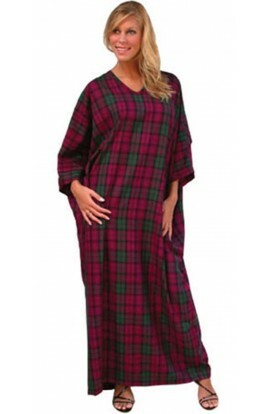 This range of full-length kaftans are made in a variety of tartan designs. 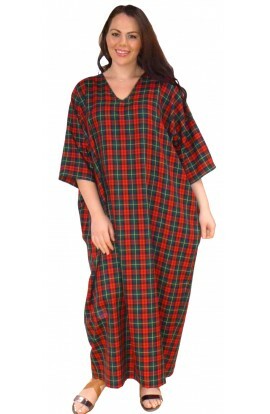 The tartan kaftan fabric is made of poly-viscose. 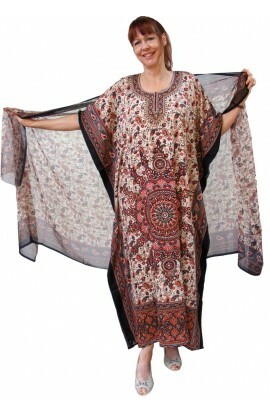 They are loose fitting and are available in a choice of three length. Free-sized to loosely fit UK 14 to 30. However, for customers who have a larger measurement, it would be advisable to request the bespoke version as a bespoke item. 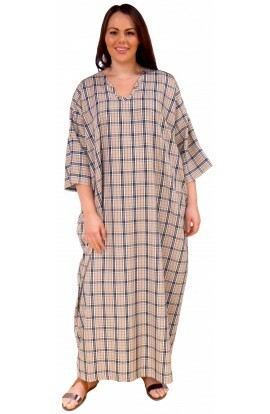 Tartan Kaftan in beige "burberry" design. Designed to loosely fit UK dress sizes 14 to 30. Choice of three lengths. Fabric:- Poly/viscose ..
Tartan Kaftan in red and green design. Designed to loosely fit UK dress sizes 14 to 30. Choice of three lengths. Fabric:- Poly-viscose. ..
Tartan Kaftan in Magenta and Green design. Designed to loosely fit UK dress sizes 14 to 30. Choice of three lengths. Bespoke made to measure service also available - for this please message or telephone: 01476 550000 ..